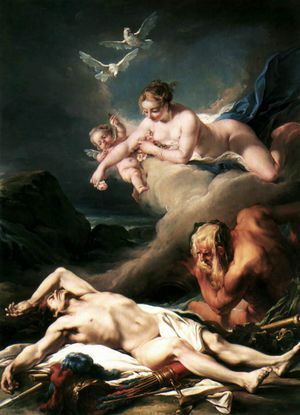 جان-باتيست-هنري دى‌هى Jean-Baptiste-Henri Deshays أو Deshayes ‏(1729 - 10 فبراير 1765) كان رساماً فرنسياً اشتهر بالموضوعات الدينية والأسطورية. وُلِد دى‌هى في كولڤيل، بالقرب من روان. 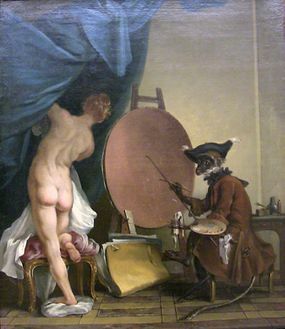 His first training was under his father, the minor Rouen painter Jean-Dominique Deshays, he then spent a little time under Jean-Baptiste Descamps at his Ecole Gratuite de Dessin. 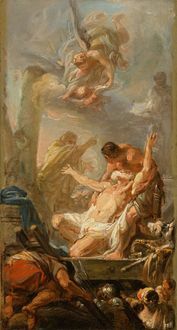 He spent time in Hyacinthe Collin de Vermont's Paris studio from around 1740 to 1749 and Jean Restout II's from late 1749 to 1751. Both these had been pupils of جان جوڤينيه, and painted in the Grand Style of French history painting, a style Deshays adopted as his own. 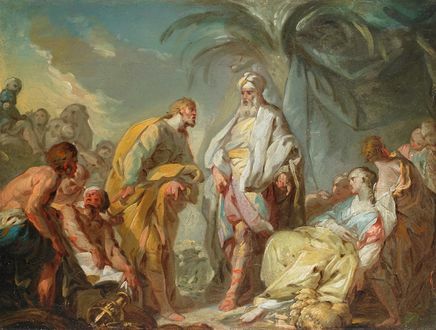 While he was in Restout's studio, Deshays entered the Prix de Rome competition, winning second prize in 1750 with لوحته المرسومة في 1750 بعنوان لبن يعطي ابنته ليعقوب كي يتزوجها فازت بالجائزة الثانية في Grand Prix de Rome, and his 1751 Job on the Dung-hill the first prize. 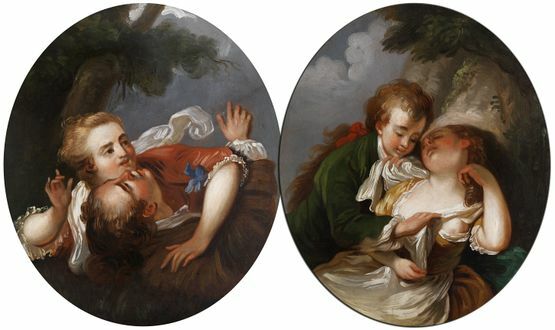 Deshays served the compulsory three years training at the Ecole des Eleves Protégés (where he learnt from Carle van Loo, its director, and attracted some religious commissions, including two vast canvases, a Visitation and an Annunciation, for the monastery of the Visitation at Rouen), before going to Rome. 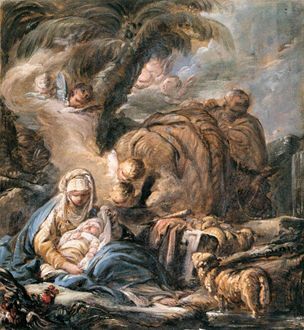 He then spent 4 years under Charles-Joseph Natoire at the French Academy in Rome, making several copies of works by Raphael, Domenichino, Guercino and the Carracci. 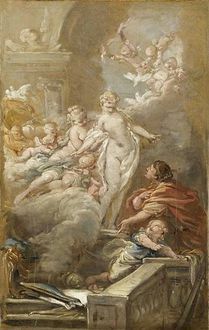 On Deshays' return to Paris in 1758, he got married to Boucher's elder daughter, and a year later became a full academician, though he only exhibited at 4 official Salons. He died in Paris. لبن يعطي ابنته راحيل ليعقوب ليتزوجها. ^ "Jean-Baptiste-Henri Deshays (Deshays de Colleville)". Fine Arts Museums of San Francisco. Retrieved 4 November 2016.